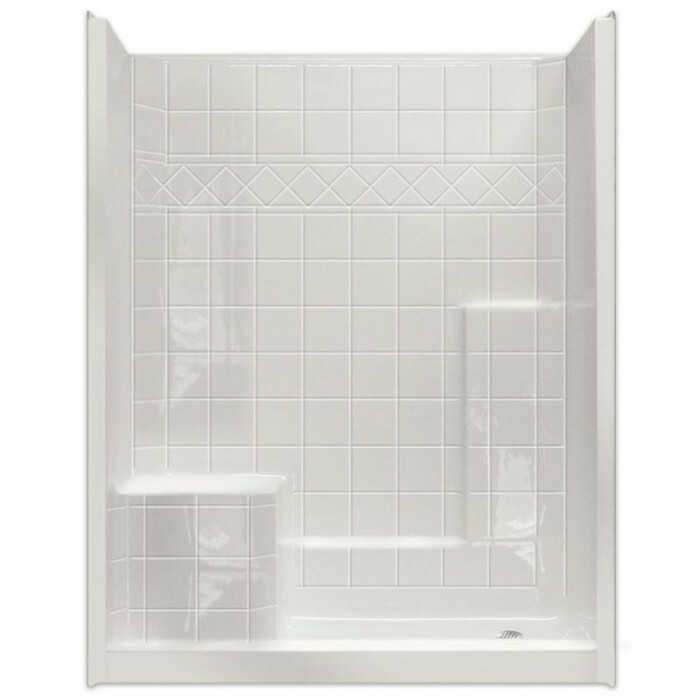 The one-piece walk-in shower stall (with built-in seat) is the perfect product for individuals who want extra depth in their accessible shower. Designed for new construction, the 60" x 36" Easy Step Shower has a low 4” threshold that can also accommodate a shower door if desired. A low threshold provides a safe access point for seniors and those living with disabilities. 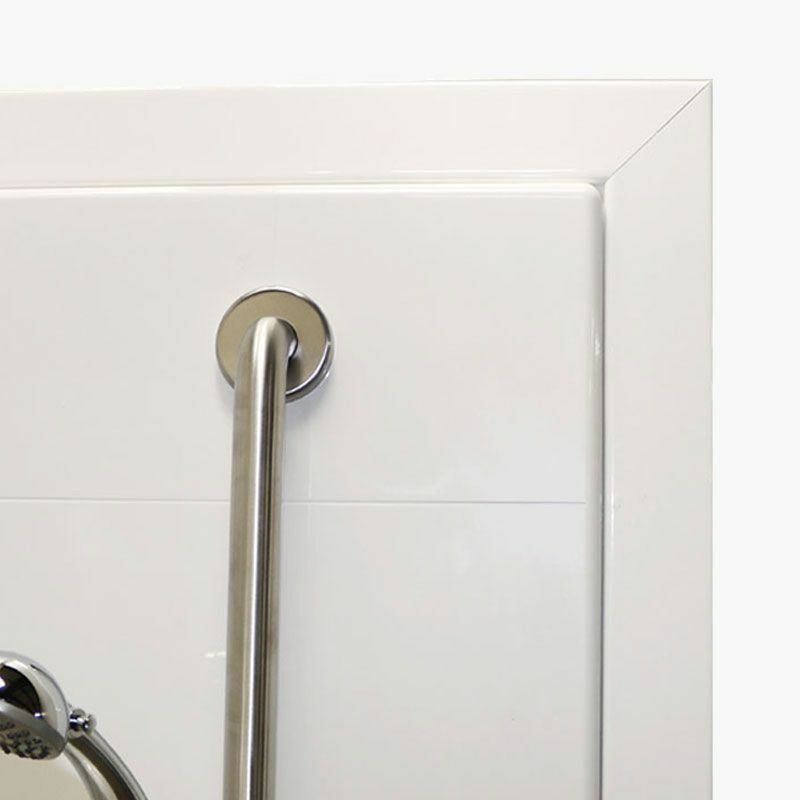 A luxurious and comfortable solution for bathroom safety, our easy access shower comes with wood backing in the locations where grab bars should be installed, but you can also add full wood backing for additional bars in the future. 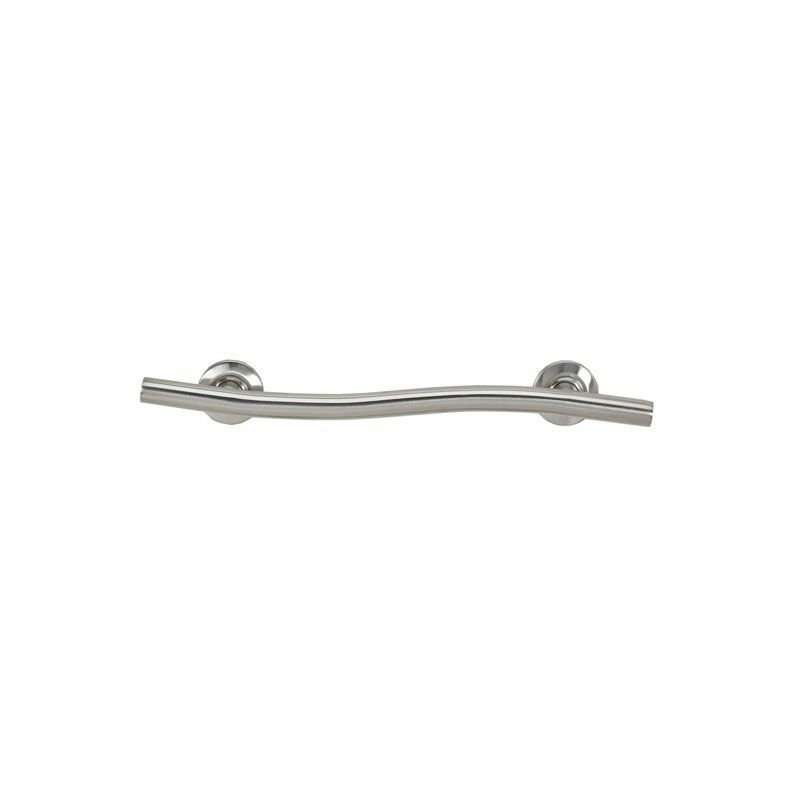 Strong and well-positioned grab bars are essential to creating a safe bathing experience for seniors and those living with mobility disabilities. 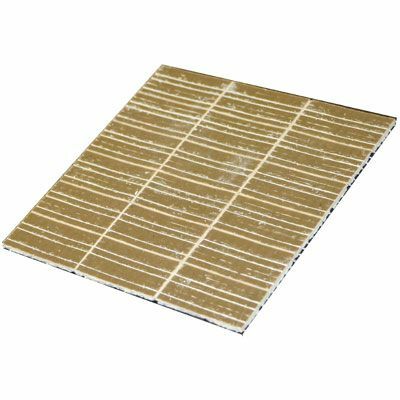 The durable, easy-to-clean applied acrylic finish has a tile pattern, creating a modern, lavish finish. If desired, upgrade to a century stone color for a premium tile look. This walk-in shower model comes with a 30 year warranty on manufacturing defects and is made in America. 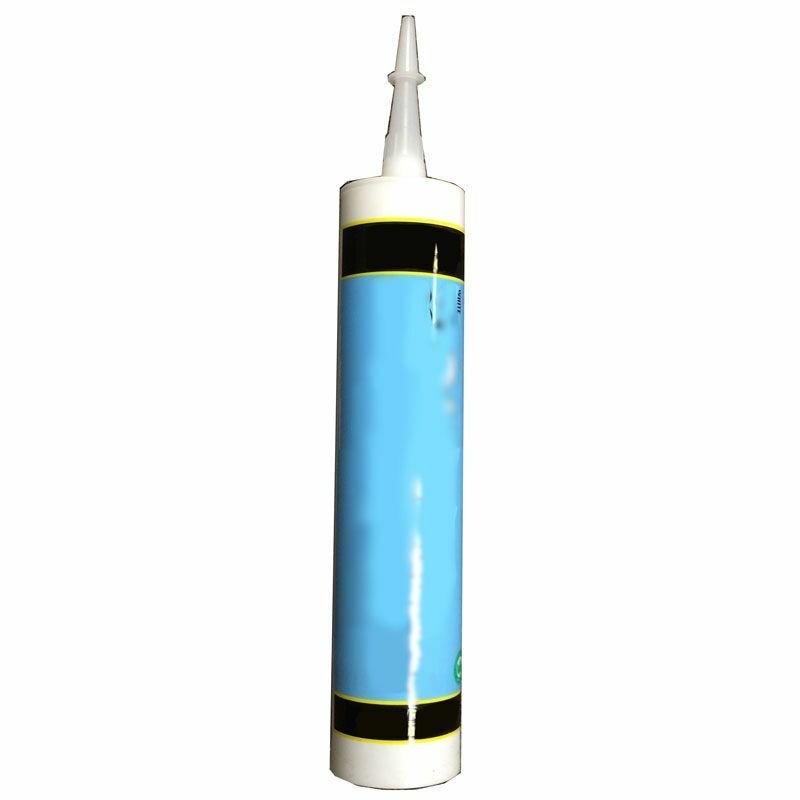 A Freedom Easy Step shower will increase your independence in the shower. This short video will highlight the features of a Freedom Easy Step modular shower.